What do the numbers and letters on my nib mean? It depends on the numbers, of course. Nibs are marked with their gold content, such as 14K/585, or 18K/750. Some modern nibs have 23K Pd for palladium (Visconti). 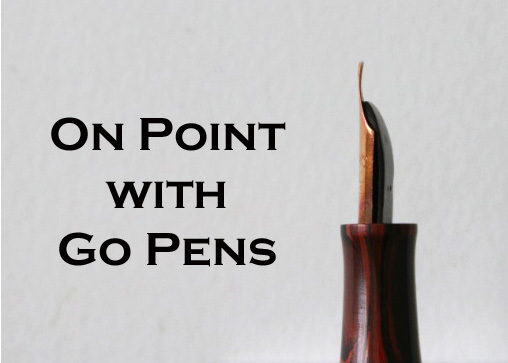 Nibs without a gold indication are usually steel or gold-plated steel (sometimes marked as GKP/GP). Small letters such as F/M indicate the size of the nib: extra-fine, fine, medium, broad, double-broad, and triple-broad. Specialty nibs, such as those made by Sailor, are a little more complicated, and you should double-check those because those don’t apply across the board (for example, Z for Zoom).